AP Chief Minister N Chandrababu Naidu declares the target of election mission 2019 to the party leaders. 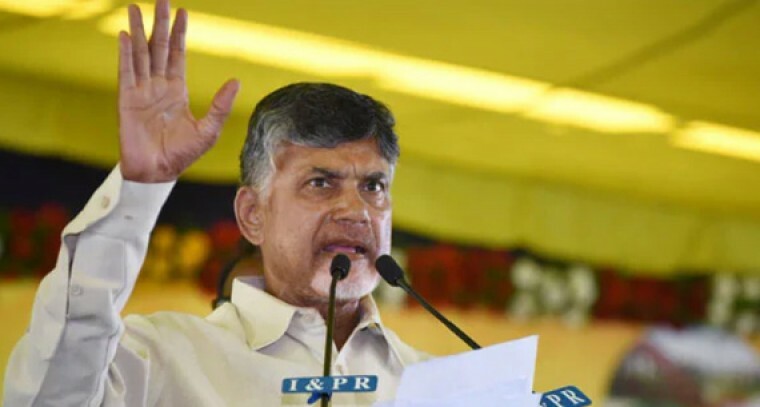 On Saturday morning Naidu had a teleconference with the TDP leaders of the state, where he clarified that 25 MP seats, 150 Assembly seats is the aiming election target, and directed the party leaders to work hard in achieving the goal. Naidu appreciated the installation of 36 feet tall NTR bronze statue at Sattenapalle in Guntur district and said that it was developed like Buddha Purnima in Hyderabad. CM Naidu is in Kolkata to participate in the CM Mamata Banerjee's United India' rally at Kolkata's Brigade Parade Ground.More than 20 national political leaders, including former prime minister H D Deve Gowda, former Union ministers Yashwant Sinha, Shatrughan Sinha and Arun Shourie; three present chief ministers Arvind Kejriwal, and H D Kumaraswamy; and former chief ministers Farooq Abdullah, Omar Abdullah, Akhilesh Yadav and Gegong Apang are supposed to attend the meeting.